Lots of Teen Wolf Season 3 Spoilers! Spoilers Galore! I have more spoilers for the Teen Wolf fans! 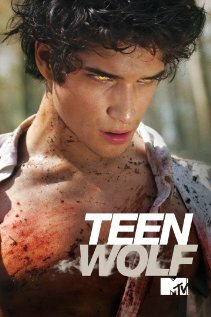 Season 3 of MTV’s Teen Wolf won’t be here until Summer 2013, but the cast and crew behind the hit show have already spilled loads of goodies on what’s to come. Check out the list of new and older spoilers below! Jackson will be written out because Colton Haynes is off the show. Apparently there were issues with negotiations and he quit. Booo! Davis did say that if Colton chooses to return, they will bring Jackson back. He added that Jackson’s removal from the show will go smoothly. We’ll see one of Tyler Posey’s tattoos, and the “two bands on his arm have a major significance in the first episode, even providing the thematic foundation for the story. Part of the tattoo, the dB musical note, will still have to be covered up, however,” Davis told MTV. There will be absolutely no vampires. Davis said that they won’t go into Twilight territory with the whole imprinting thing. A new werewolf pack is coming to town, and “they’re going to be providing some good villainy,” Davis promises. The new pack will include a female wolf named Kali who is always barefoot and attacks with the claws on her feet. The pack will have five members, which includes identical twin alphas. Davis said that they will be introducing a gay character. “We will be doing a flashback episode. You will see a young Derek Hale” said Davis. There will be no relationship between Stiles and Lydia, just friendship. Stiles will be getting to know her as a person, not a crush. Scott will try to use his powers for good. More of Lydia’s powers will be revealed this upcoming season. “Women will be finding their power,” said Davis. Allison will be doing a 180 in Season 3, she will have a redemption story. Stiles might be bisexual, the cast wouldn’t confirm or deny it when the question was asked. Those are the spoilers so far. Expect more in the coming months! What do you think so far? What are your thoughts on the various spoilers above?